I suppose one test of the quality of a children's author is how a book they've written effects the little reader. 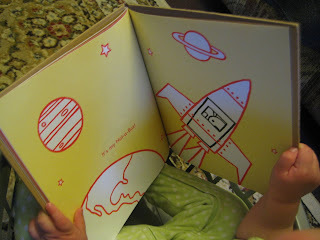 Well, Elena has been inspired by Antionette Portis' book "Not a Box". 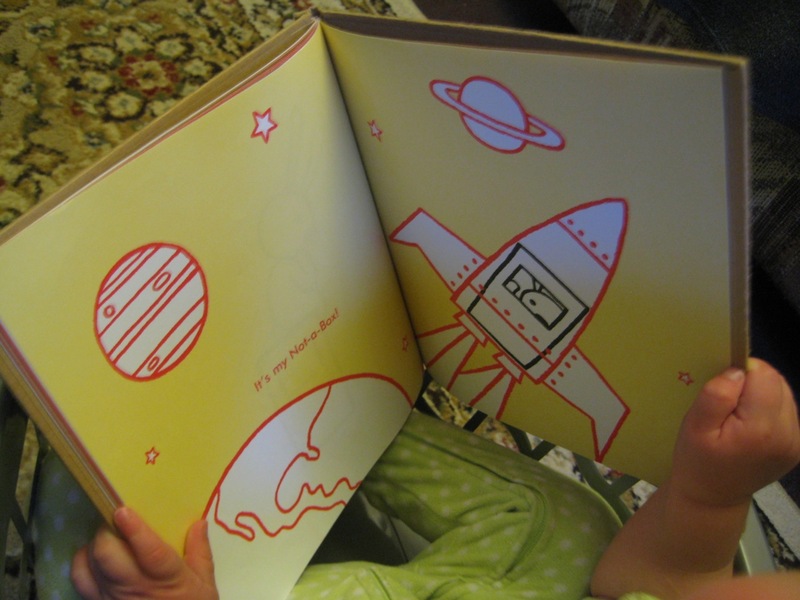 We've recently discovered the treasure that the Chula Vista library is for children's books. Elena, like most children, has always been a fan of boxes. 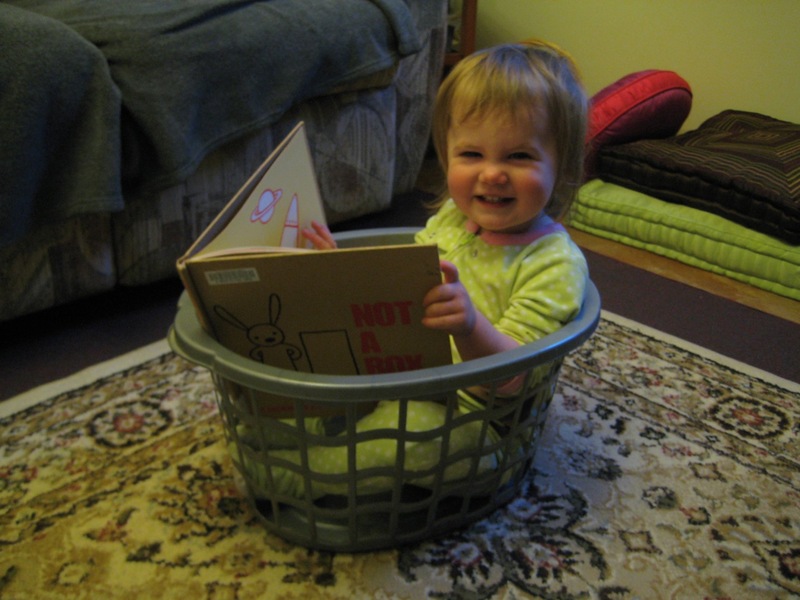 Right after reading this book, which is about a bunny who uses an ordinary box for extraordinary adventures, she went for the closest empty box-looking object she could find (in this case, a laundry basket). She sat in it and proudly looked through her new book. I suppose she was not actually in a box, she was really in a boat or spaceship.